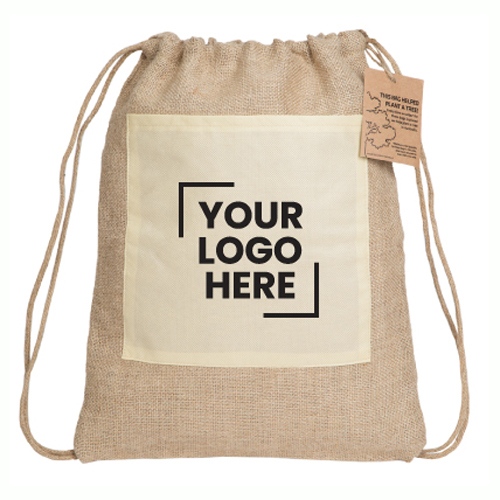 Drawstring bag is made from natural jute plant fibre and includes a 90GSM non-woven pp front pocket. Reforest Jute Bags help contribute to landscape restoration every time an order is placed. For every 100 units sold one native tree will be donated replanting degraded land here in Australia. Material: Vegetable Fibre & Non-Woven PP Colours: Natural, Dimension: 320mm w x 420mm h. Price includes : 3 Day Service* Screen Print - One Colour/Location. Setup is included.